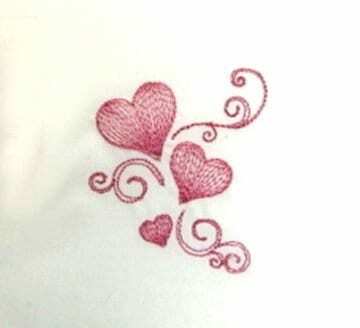 This embroidery design features multi-sized contour hearts. Referred to as ripple hearts. In addition flourishes help to enhance the ripple design. Fits the 4×4 hoop.